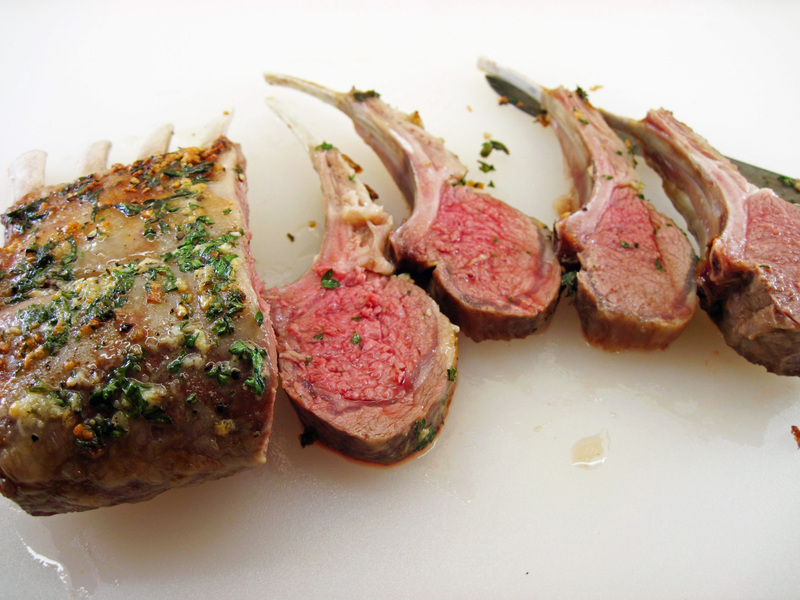 If you and your sweetheart like lamb, this Rack of Lamb for Two is perfect for a special evening at home. Is it just me, or has rack of lamb become wildly expensive in the past few years? It’s always been expensive, but I don’t recall that it seemed prohibitive 30 years ago. It was something that was part of our regular rotation when we were newlyweds. 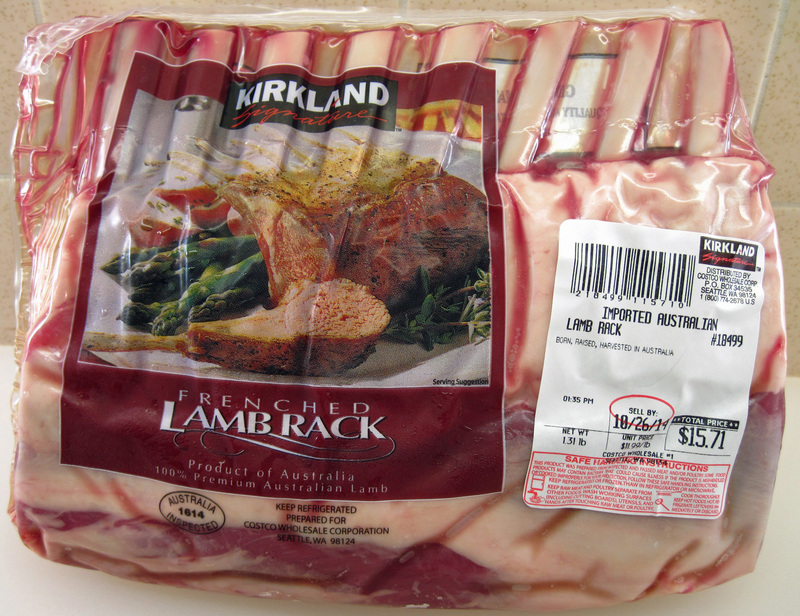 On a trip to Costco this week I spotted rack of lamb from Australia for $11.99 a pound. That’s still expensive, but it’s much less expensive than what I see in the grocery store. Having had good luck with other meats from Costco, I decided to give it a try. I used my favorite recipe from my old Sunset Cooking for Two…or Just for You cookbook. It’s foolproof, and that’s what you want with an expensive cut of meat. The lamb was fantastic and a real treat! I am glad to know that I can get a top-quality rack of lamb at a more reasonable price at Costco. I like to make the lamb the star of the meal, so I usually serve it with a simple vegetable and a salad. Serve with a glass of red wine and it feels like a “date night” at home! 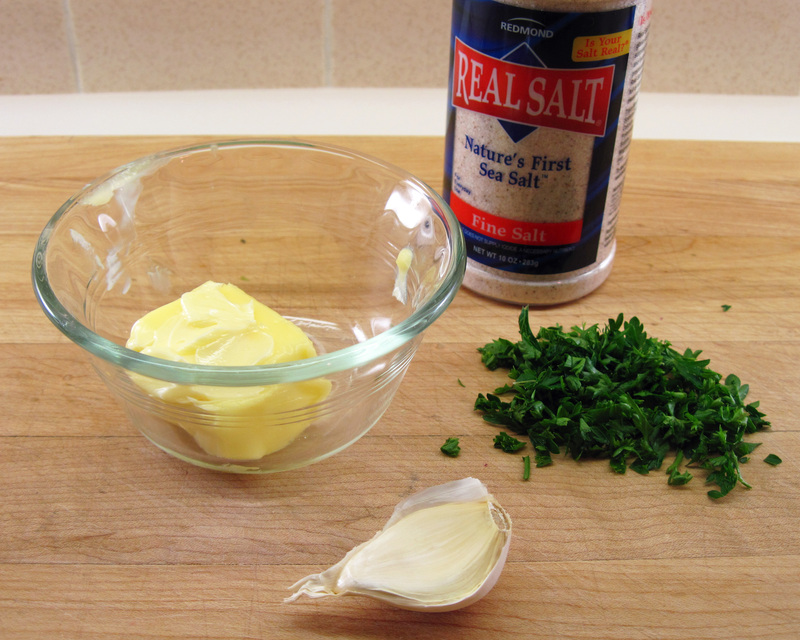 Mix the butter, parsley, garlic, salt and pepper together. 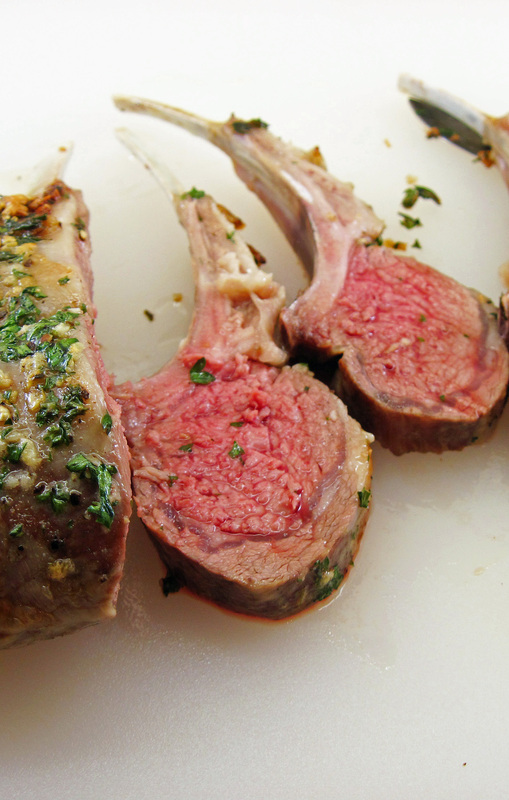 Put the rack of lamb, meat-side up, on a rimmed baking sheet. (I covered mine with foil for easy clean-up.) Spread the butter mixture over the meat. Remove lamb from the oven. 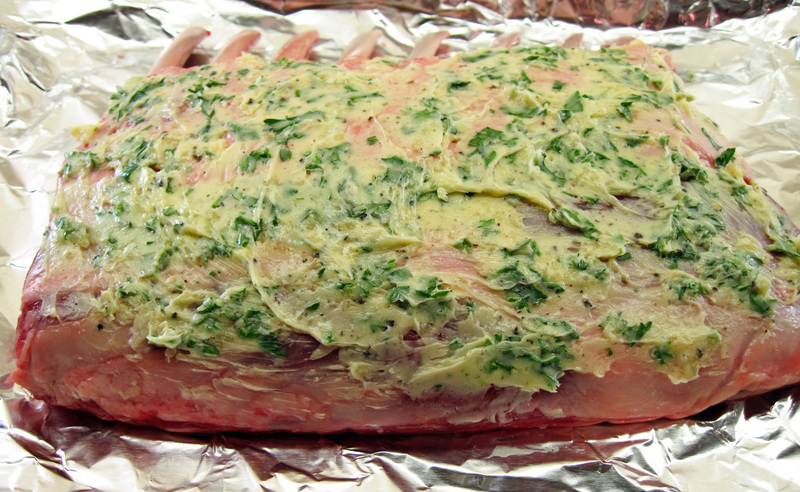 Cover with foil and let it rest for 10 minutes. Cut the roast into individual chops and serve. Amazing pics. Wondering if you’ve come across any beet salad recipes that you love? My boyfriend and I tried this on a romantic night in, and it was amazing! Neither of us had never cooked lamb before and we will definitely be repeating this recipe! It goes very nicely with a nice Merlot. Thanks so much for sharing. What a wonderful recipe! My boyfriend and I tried this on a date night in, and we absolutely loved it. Neither of us had never cooked lamb before and had such a wonderful experience. This will definitely be a repeated recipe for us. It goes well with a nice Merlot. Thank you so much for sharing!